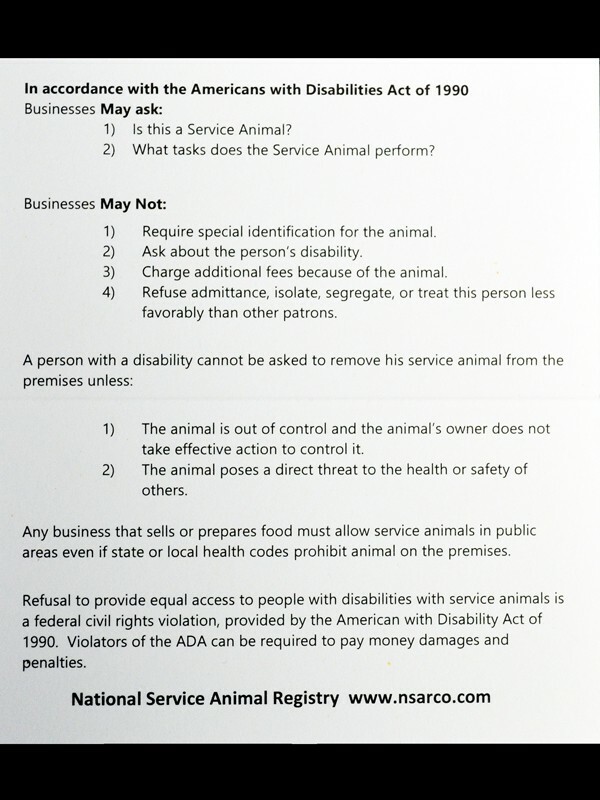 Our Service Animal Information Cards are designed to ease the burden of having to remember and convey all the federal guidelines that protect your rights with your service dog as a disabled handler. 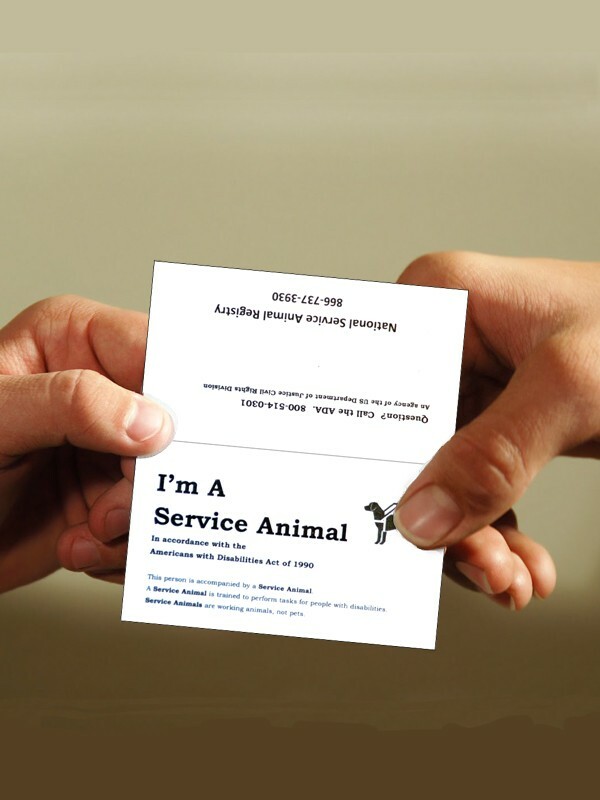 On one side, the card states "I'm a Service Dog" (indicating, of course, that your dog is a working assistance animal - trained to perform tasks for your disability). The toll free phone numbers to government agencies are printed on it in case the employee, etc. has additional questions. On the reverse side is a summary of the Americans with Disabilities Act as it relates to Service Dogs. It also lists the questions businesses can ask and what they can't. If you tend to be in public a lot with your service dog, you shouldn't leave home without these handy information cards, as they will answer all the questions an employee, manager, or security person may have. My service dog is a seizure alert dog but he's a 6 lb Yorkie. I used to get stopped all the time and it didn't matter where I went. He's so small that people didn't recognize him as my working service animal. I started handing these out and now I don't get locked into long conversations about my rights. A good value. I recommend asking for the cards back, though, otherwise you'll run out quick!